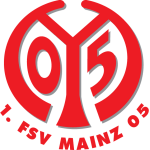 Bayer Leverkusen vs Mainz 05 predictions for this weekend’s German Bundesliga. Leverkusen look to get their first points on the board at home to an unbeaten Mainz on Sunday. Read on for our free betting tips and match preview. 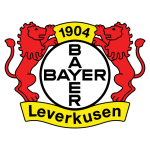 Leverkusen’s thrilling second-half comeback against Ludogorets in the opening game of their Europa League campaign on Thursday is exactly what was needed to kick start their season. Herrlich’s men are now looking to make amends to their 100% losing start in the Bundesliga after a 2-0 defeat away to Rhein neighbours Borussia Monchengladbach, a 3-1 loss at home to the in-form Wolfsburg, and another crushing defeat to reigning champs Bayern Munich last weekend. Should Coach Herrlich opt for change, midfielder Kai Havertz, who scored a brace during the week, could squeeze his way into the starting line up on Sunady alongside veteran forward Kevin Volland, who came on at half time in Bulgaria. Whether he will stick with the 4-4-1-1 formation that served them so well during the week or revert back to their favoured 4-2-3-1 is also up in the air. At the opposite end of the scales to Leverkusen, Mainz 05 have been one of the surprise packages of the 18/19 campaign so far, with two home wins and an away draw seeing them 6th in the table. However, the 05ers have done very well to be unbeaten at this stage. Mainz just about snuck the three points against Stuttgart on the opening day, managing just 8 shots on goal in that match, and did even worse in the follow up, tallying just 6 shots on goal in their 1-1 draw away to the newly promoted Nurnberg. After last weekend’s 2-1 win against Augsburg at home, Sandro Schwarz’s men have recorded the joint 5th lowest number of shots on target so far this season. Mainz are riding a wave a form that sees them treading a fine line win and defeat. So, what markets are we looking at for this match? Well, with Leverkusen underperforming and Mainz overperforming you could be thinking that there’s some value in the visitors here, but we feel the most obvious value here is in the under 2.5 goals market. Here’s why: first off, neither side has been particularly impressive offensively. We’ve already covered Mainz’s attacking record, but the hosts’ numbers are (to this point) even poorer. Leverkusen have registered just seven shots on target in three matches, but when you take a look at the contrast in the sides’ opening fixtures, it’s reasonable to see how this has happened – Leverkusen have faced Gladbach, Wolfsburg and Bayern (two of which were away), while Mainz have faced Stuttgart, Nurnberg and Augsburg (two of which were home). Leverkusen are no doubt the better side of the two, and their mid-week European comeback will do wonders for their confidence. Expecting them return with a bang isn’t too much of a stretch of the imagination, but with Mainz having defended well to this point, it’s hard to see this one getting too out-of-hand – under 2.5 goals were even scored in 6 of Leverkusen’s last 9 home matches and 5 of Mainz’s last 7 Bundesliga away matches. With three of Mainz’s four goals this season having come from substitutes, it says something about the quality that they have available to field in the first place, and the lack of experience in their squad – Mainz sent out their youngest ever team against Augsburg last weekend – could see them struggle against a Leverkusen side brimming with it. Our prediction: 1-0 Leverkusen. Leverkusen have lost their opening three matches of a Bundesliga season for the first time in the club’s history. Leverkusen have lost five of their last seven Bundesliga matches (W1 D1 L5). Mainz 05 hold the joint best defensive record going into the weekend (2 goals conceded). Under 2.5 goals were scored in 6 of Leverkusen’s last 9 home matches and 5 of Mainz’s last 7 Bundesliga away matches. Leverkusen hold the joint worst defensive record going into the weekend.